International Rescue Committee (IRC) is the leading education agency in Nyarugusu and Mtendeli refugees’ camp which are respectively located in Kasulu and Kakonko District Councils in Kigoma region. The IRC in partnership with UNHCR, supports the implementation of education program for Burundian and Congolese POCs in Nyarugusu and Mtendeli refugees’ camp. Since 2016, the IRC has been implementing Instant Network Schools program which is funded by Vodafone Foundation-UK through UNHCR. In 2018, IRC committed to enhance the quality of the INS program in three major areas; teachers support to integrate technology effectively into instructional practices, improved content access to both teachers and students, increased support from community for education and INS. Attend and participate in training identified and/or organized by the Education Manager or Coordinator. Follow all IRC policies, procedures, and guidelines. 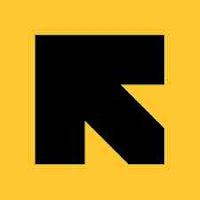 Report any violations of the IRC Sexual Abuse and Exploitation, The IRC Way, and Child Safeguarding Policy (TZ specific and global), as per the IRC Tanzania reporting mechanism. Represent IRC at inter-agency and coordination meetings, as assigned. Assist in control and proper usage of stationary and other items relating to work. Perform other duties as may be assigned by the Education Manager or Education Coordinator. The INS Intern shall work at Nyarugusu refugee camp for three months (3) with a possibility of extension. He/She will receive support from Education Manager and Officers. The Intern will be based at Makere. Degree or Advanced Diploma in IT with Education from a recognized University/College. Ability to plan and manage project. Ability to work well in an international environment with people from diverse backgrounds and cultures. Excellent communicator with good oral and written Swahili and good English, French and Kirundi is a plus.